Emily Hunts has no idea the Devil is hunting her when she first meets the dark figure in the enchanted garden. He seems friendly enough. Besides, she was eleven. Now that she’s grown, and nothing’s happened to her yet, there’s no reason to be alarmed. Although, her adopted mother and everyone she knows seem to think she should be locked away forever. Even her childhood friend, who returns from the tracker academy, won’t let her out of his sight. Then something happens that changes her mind. “…your story is amazing.” -L.W. “Oh my gosh! I love this story so much.” - L.B. A.R. Curtis writes epic stories and fantastic villains, stories that fit no boundaries, but cross the lines of fantasy, paranormal, supernatural, drama, and urban fantasy. 5 stars by Readers Favorite! 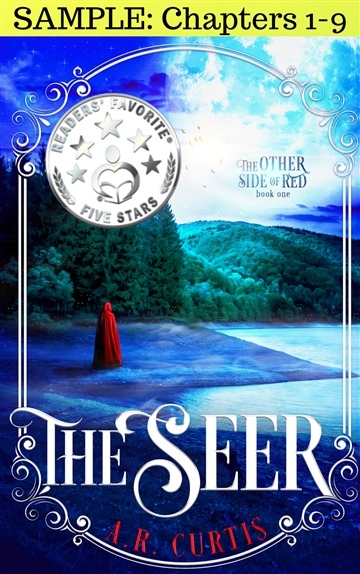 "The Seer: The Other Side of Red is a work of urban fantasy fiction written by author A.R. Curtis. Focusing on the darker side of the modern fantasy genre, our story follows heroine Emily Hunts as she is chosen to develop her powers of sorcery. Although this is an exciting opportunity, the motives behind her tutor’s actions are truly sinister, for he is a deep, dark, powerful creature who has been beguiled by Emily and fallen in love with her. As her powers rise, he will be forced to unveil his many secrets and bring her deeper into his world of magic and the darkness of the night.